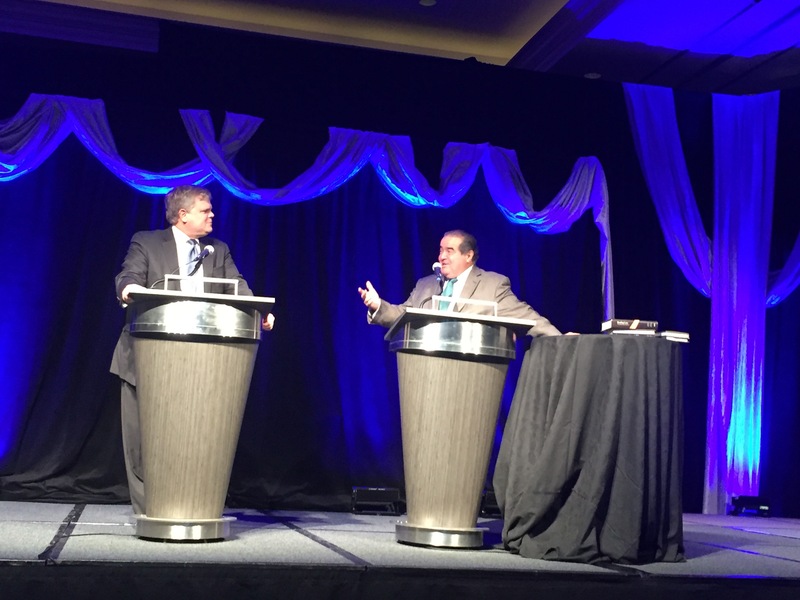 Justice Antonin Scalia and Bryan Garner recently took the stage at the General Counsel’s Forum, entertaining us with anecdotes from Reading Law: The Interpretation of Legal Texts. Justice Scalia asked the audience to define a “nimrod.” One GC stood up and offered “a foolish person.” The Justice pointed out that for several centuries nimrod meant something entirely different – a hunter – after Noah’s great-grandson who was described as “a mighty hunter before the Lord.” There’s even a Nimrod Street in Houston named after him. The “foolish person” definition arose only recently, due to the word’s use by Bugs Bunny. Bugs would pop up, point at Elmer Fudd and yell “nimrod.” While Bugs was referring to Elmer as a hunter, millions of children began using nimrod to describe someone foolish. (4) Contextual Canons (e.g., a word is presumed to bear the same meaning throughout a text). The list set forth in Reading Law provides a useful handbook as we draft and interpret contracts. Does the proviso requiring unanimity apply only to the amendment or termination of Liens or does it also apply to any action taken on Liens – including a foreclosure. The second interpretation allows any single lender to stop a foreclosure. What if one of the lenders is “friendly” to the debtor? What if a clever debtor arranges for a friend to purchase part of the loan, thereby acquiring a “block” on foreclosure. Loose drafting can have real world consequences. The Scope-of-Subparts Canon also operates because the words preceding the list (in this case, the critical “amendment or termination”) refer to all of the subparts, including the Liens. There is no longer ambiguity regarding whether unanimous consent is required to commence foreclosure. F. Scott Fitzgerald once quipped “All good writing is swimming under water and holding your breath.” What I think he meant was that good writing is not easy. Yet writing is one of the most important things we do in the energy industry, and the contracts we write often live on for decades. Isn’t it worth the extra effort to make them as clear as possible? About the Gaille Energy Blog. The Gaille Energy Blog discusses proposals in the field of energy law, with a new issue being posted each Friday at http://www.gaillelaw.com. Scott Gaille is a Lecturer in Law at the University of Chicago Law School, an Adjunct Professor in Management at Rice University’s Graduate School of Business, and the author of two books on energy law (Shale Energy Development and International Energy Development). "justice scalia" "canons of construction"